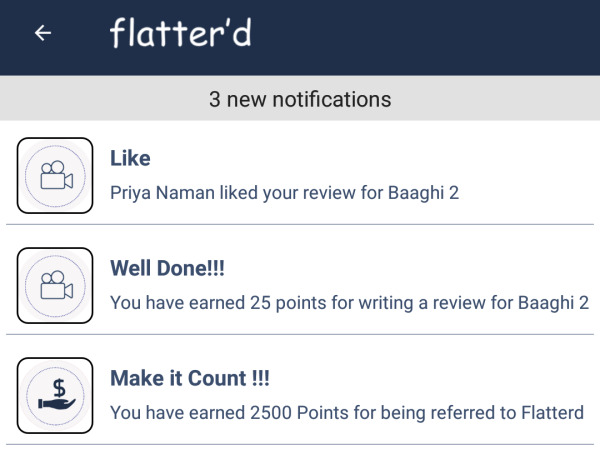 Flatterd App Is Offering A Deal Where You Will Get 2500 Points On Sign Up + 500 Per Refer. 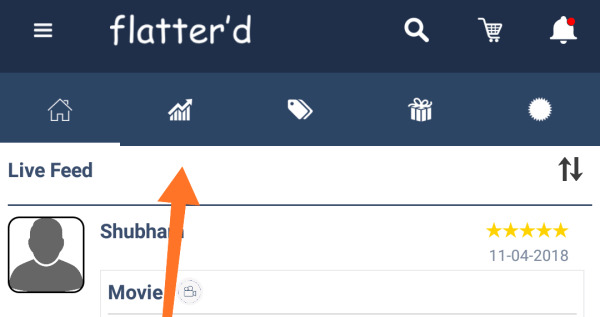 In This App You Can Get Points For Writing Review Of Movies, Songs, Games In App. Their’s More Task Available In App From Which You Can Earn Points. You Will Receive Points Only After Your Review Of Any Movie, Game, Song Is Approved By Admin Otherwise No Points Will Be Rewarded So Try To Write A Good Review. More Than Task This App Is Also Giving Refer & Earn Where You Will Get 500 Points Per Friend Refer By You. You Can Redeem All Points For Amazon/Dominos Or Myntra Gift Cards Which Takes Upto 10 Days To Recieve. 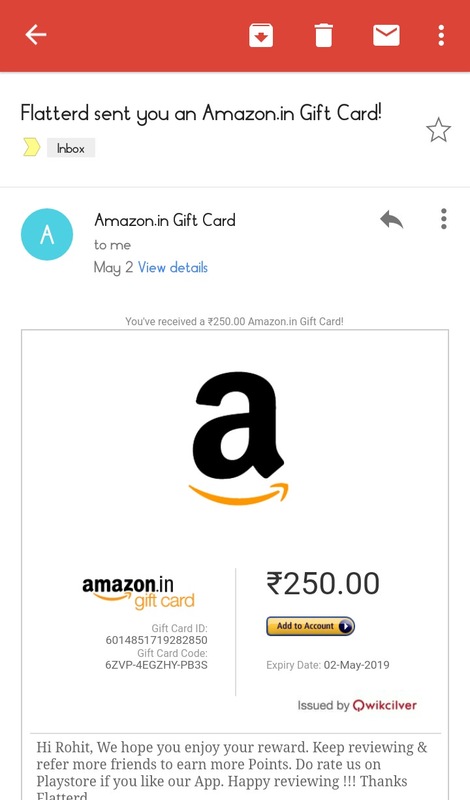 This App Will Give Vouchers Only To Genuine Reviewers , If You Spam Their App Or Your Invited Friend Do This , You Get Nothing. 2. 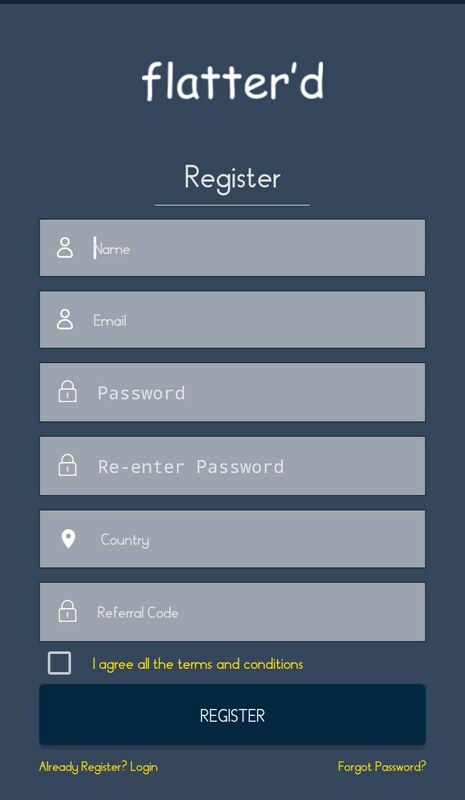 Open App & Click On Register. 3. Now Enter Your Email & Password. 5. 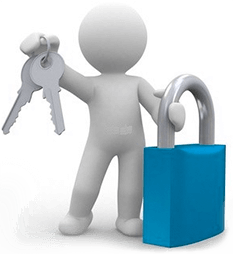 Now Your Account Has Been Created & You Need To Verify Your Email. 6. Go To Gmail & Check Spam Folder To Verify Email. 7. After Verification You Can Login Into Your Account. 8. Click On Review Option From App. 9. Now Choose Any Movie From List & Click On Review Now Option. 10. Submit Genuine Review & You Now Are Eligible For Referal Rewards & Sign Up Bonus Credited Instantly. 11. You Can Earn More Points Daily By Reviewing In App , Check FAQ Option From Menu. 1. First Go To Menu & Click On Redeem. 2. Now Choose Your Favourite Voucher. 3. Redeem It By Entering Details. 4. You Will Get Voucher Within 10 Days Via Your Email.